I love children’s books, the quirkier the better I say. My daughter Neave has a book called “The Fidgety Itch” by Lucy Davey & Katz Cowley. It’s well illustrated and written and completely bug-nuts crazy! Just how I like it. I also like how the titles of many children’s books have a rhyming quality to them. Not in the traditional sense most of the time, but how the words roll of the tongue is fun and well, child-like. So, on to today’s One a Day. 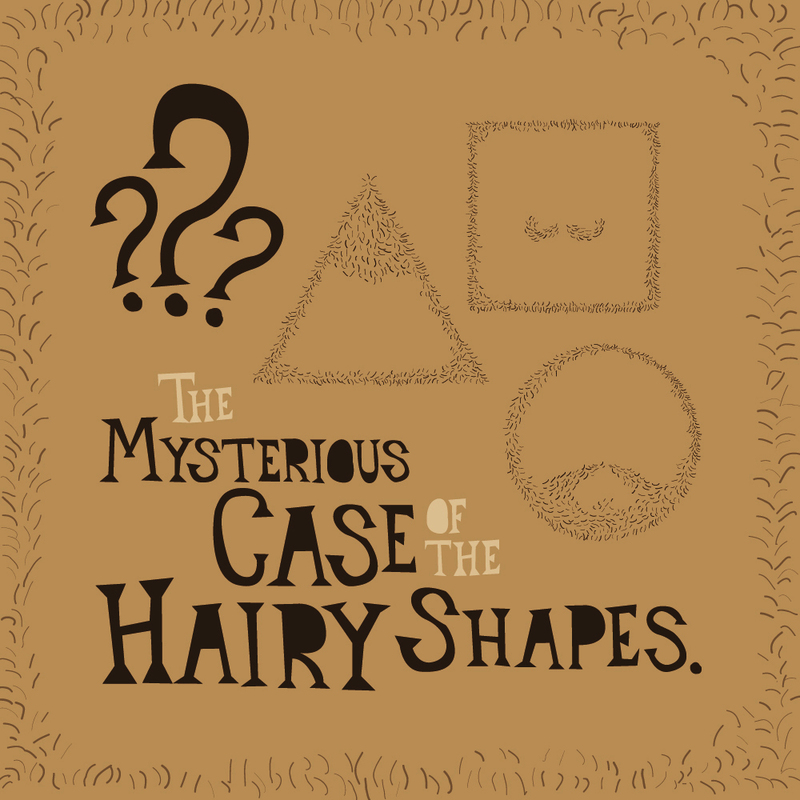 A faux children’s book cover for the The Mysterious Case of the Hairy Shapes. I would buy a book like this for my kids, but I’m not sure too many others would… but I do like ’em weird! I’m obviously obsessed with hair at the moment with yesterday’s illustration being my hair and beard (or I’m lazy because hair is easy to draw!). The thought process behind this was really just draw something quirky, fun and fast… and this is what came out of my brain! Lettered with the bezier pen tool.